The 2011 Subaru Outback is one of the best vehicles for pets (specifically dogs), thanks to its relatively low cargo floor and several good aftermarket pet-barrier options. The 2011 Subaru Outback is the equivalent of a good cross-trainer—offering satisfying on-road performance, modest trail capability, and enviable interior versatility and space, all with just a taste of luxury, too. Subaru completely redesigned its rugged Outback wagon last year. Taller, stouter, and roomier than the model it replaced—though not much longer—the Outback moved firmly into midsize territory and now takes on sport-utility crossovers as the Toyota Venza, Volvo XC60, and Jeep Grand Cherokee. The 2011 Subaru Outback has a design that prioritizes real-world versatility and space—perhaps more than any of those vehicles—while offering good handling and fuel economy, as well as being an exceptional value in some trims. 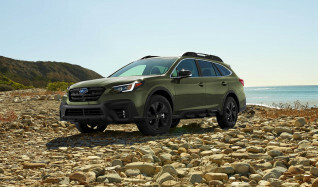 The Subaru Outback was completely redesigned last year and given what Subaru calls "SUV details"— exaggerated wheel arches, a thicker rear roof pillar, and chunkier rear side windows. It added 2.8 inches to the wheelbase, upped the width by 2.0 inches, and made it a whopping 4.1 inches higher, but actually kept it almost an inch shorter than the previous model. 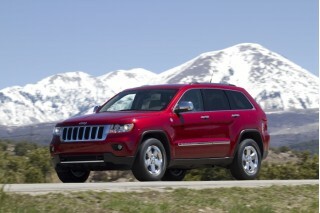 And at 8.7 inches, ground clearance is the highest ever, besting rivals that include the Jeep Grand Cherokee. Inside, the 2011 Outback has styling that's pleasant and uncontroversial but doesn't take any chances. Overall, the swooping instrument-panel design is a step in the right direction for Subaru, and it's hard to find fault with any single element of the layout. Because the 2011 Subaru Outback is 450 to 1,000 pounds lighter than most other all-wheel-drive competitors, at a base weight of just 3,386 pounds, it can move just fine with the 170-horsepower, 2.5-liter horizontally opposed 'flat' four-cylinder engine; that's paired with an all-new continuously variable transmission (CVT) called Lineartronic, or with a reasonably good six-speed manual gearbox. The CVT is one of the better ones to live with—both relatively quick to wind up to access the engine's powerband and somehow, not as obtrusive at full-tilt acceleration as most other four-cylinder/CVT combinations. The optional engine is a 3.6-liter flat six that makes 256 horsepower. It's mated to a conventional five-speed automatic transmission. The six—in addition to feeling considerably faster and more responsive—is smooth, quiet, and offers rather torquey, un-Subaru-like hustle off the line. It won't win you any drag races, but while the four is adequate, the six is actually fun. If you choose the four-cylinder, the 2011 Subaru Outback returns exceptional fuel economy for its class—with ratings of up to 22/29 mpg. Subaru's horizontally opposed, or 'boxer', engines keep the Outback's center of gravity low, despite its tall profile and high ground clearance. It handles better than virtually any competitor, always driving like a car rather than a truck. On-road steering feel isn't spectacular, however. If you really want to experience the Outback Subaru in its element, take it off road—rather to a gravel road or dirt trail—and this wagon's generous ground clearance makes more sense. It has a very stiff structure, and electronic control systems work so well with the all-wheel drive system (and again the lighter weight) that that the Outback is able to take on some slippery slopes that might give traditional trucks trouble. Thanks to the longer wheelbase and higher roof, the Outback is significantly more spacious than the previous version (prior to 2010), especially when it comes to back seat legroom. Front seats in the 2011 Outback have copious amounts of legroom, while tall adults will find plenty of legroom and headroom in the back seat. There's no third row, however if you're stepping out of a crossover SUV like a Honda Pilot or Toyota Highlander, you're going to find just as much useful interior space. Although it can't be considered a luxury, or even premium, vehicle, it does offer materials and build quality that are entirely appropriate for the price point. The interior feels a bit basic, even on our dressed-up limited, with some hard, scuffable plastic in places that are going to show it—like the center console and lower door panels—but it's right in line with what you'd expect in a built-to-be-used family vehicle. 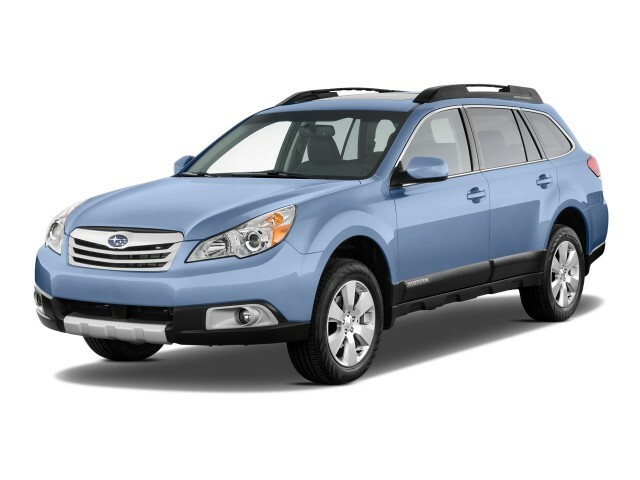 The 2011 Subaru Outback is offered in three different trim levels: base 2.5i, Premium, and Limited. Base equipment isn't bad, but doesn't feel quite luxurious either, even in top-of-the-line Limited trims. Perhaps the best feature on the 2011 Subaru Outback is the low MSRP; base models begin at about $23k, and a tricked-out Limited model still comes in under $35,000, significantly undercutting the competition from Volvo and Jeep. Subaru doesn't wow with high-tech options either, but there are a few noteworthy extras: Subaru's traditional all-weather package adds heated seats and mirrors and a deicer for the windshield wipers; a 10-way power driver's seat; dual-zone automatic climate control; a power mooonroof; and a 440-watt, nine-speaker harman/kardon premium sound system. Voice-activated navigation system with a reversing camera that shows in the eight-inch dash-mounted display. Newly available this year is a Subaru Mobile Internet accessory system, powered by Autonet, which can turn the Outback into a mobile WiFi hot spot. Subaru seems to have taken a chunkier direction with the Outback after the rugged-chic SUV look has fallen out of fashion. Overall, the styling and design isn't as cohesive as it could be. The Subaru Outback was completely redesigned last year and given what Subaru calls "SUV details"— exaggerated wheel arches, a thicker rear roof pillar, and chunkier rear side windows. It added 2.8 inches to the wheelbase, upped the width by 2.0 inches, and made it a whopping 4.1 inches higher, but actually kept it almost an inch shorter than the previous model. 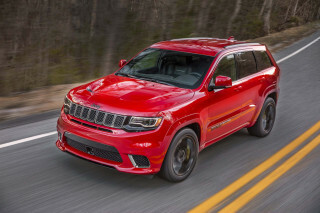 And at 8.7 inches, ground clearance is the highest ever, besting rivals that include the Jeep Grand Cherokee. The front styling may be the Outback's least successful aspect, with very large headlights swept well back into the fenders. Inside, the Outback is modern without being outlandish, with a slightly curved sweep to the center console. The rest of the design, with the exaggerated height and, yes, those SUV details, can come across as a little too cluttered and deliberate—a Legacy wagon on steroids, which is essentially what it is. Inside, the 2011 Outback has styling that's pleasant and uncontroversial but doesn't take any chances. Overall, the swooping instrument-panel design is a step in the right direction for Subaru, and it's hard to find fault with any single element of the layout. The 2011 Subaru Outback will satisfy most families with adequate acceleration and capable handling—as well as surprising toughness beyond where the pavement ends. Because the 2011 Subaru Outback is 450 to 1,000 pounds lighter than most other all-wheel-drive competitors, at a base weight of just 3,386 pounds it can move just as quickly with a smaller engine. The base 170-horsepower, 2.5-liter horizontally opposed 'flat' four-cylinder engine is paired either with an all-new continuously variable transmission (CVT) called Lineartronic, or with a reasonably good six-speed manual gearbox. The optional engine is a 3.6-liter flat six that makes 256 horsepower. 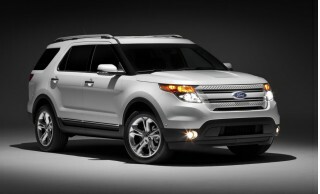 It's mated to a conventional five-speed automatic transmission. The six—in addition to feeling considerably faster and more responsive—is smooth, quiet, and offers rather torquey, un-Subaru-like hustle off the line. It won't win you any drag races, but while the four is adequate, the six is actually fun. Subaru's horizontally opposed, or 'boxer', engines keep the Outback's center of gravity low, despite its tall profile and high ground clearance. It handles better than virtually any competitor, always driving like a car rather than a truck. On-road steering feel isn't spectacular, however. If you really want to experience the Outback Subaru in its element, take it off road—rather to a gravel road or dirt trail—and this wagon's generous ground clearance makes more sense. It has a very stiff structure, and electronic control systems work so well with the all-wheel drive system (and again the lighter weight) that that the Outback is able to take on some slippery slopes that might give traditional trucks trouble. While the 2011 Subaru Outback isn't as tall and imposing as other utility vehicles, its exceptionally roomy interior and good ride quality show the benefits of its lower-profile design. Thanks to the longer wheelbase and higher roof, the Outback is significantly more spacious than the previous version (prior to 2010), especially when it comes to back seat legroom. Front seats in the 2011 Outback have copious amounts of legroom, while tall adults will find plenty of legroom and headroom in the back seat. There's no third row, however if you're stepping out of a crossover SUV like a Honda Pilot or Toyota Highlander, you're going to find just as much useful interior space. There's enough passenger space for five adults in the 2011 Outback. The back comfortably seats six-foot-tall passengers even with the front seats pushed all the way back, and the 60/40-split rear seatback not only folds flat but also reclines. The tailgate opens down to a 33.9-inch liftover, and the high roof and upright sides give a wide opening that even fits two dog kennels side by side. When the rear seats are folded, cargo volume is 71.3 cubic feet; with seatbacks up, it's 34.3 cubic feet. Carrying people and stuff, in all sorts of combinations, is what Outbacks are all about, in fact. The new roof rail system was designed to ensure that existing third-party roof accessories—from bike racks to storage boxes, kayak mounts to ski holders—would fit on the redesigned rails. And inside, plenty of cubbies provide space for all the little stuff. Although the 2011 Subaru Outback can't be considered a luxury, or even premium, vehicle, it does offer materials and build quality that are entirely appropriate for the price point. The interior feels a bit basic, even on our dressed-up limited, with some hard, scuffable plastic in places that are going to show it—like the center console and lower door panels—but it's right in line with what you'd expect in a built-to-be-used family vehicle. While engine noise could be kept better under wraps, the Outback doesn't allow a lot of wind or road noise on board. The unique roof-rack design in the Outback can very easily be folded back into roof rails, so that when they're in use they cause turbulence. he 2011 Subaru Outback remains one of the safer family picks, although new federal ratings knock it down a notch. Dual-stage dash-mounted front airbags, thorax-protecting front-seat side airbags, and full side-curtain airbags for head protection are all standard on the 2011 Outback, as are seatbelt pre-tensioners. Every 2011 Subaru Outback also includes stability and four-wheel traction control systems. The Hill Holder makes starting easier on slopes of five percent or higher by keeping the brakes engaged. The only common complaint among editors is that the Outback has some rearward-vision blind spots, but the available navigation system includes a good backup camera system. For 2011, that's been supplemented, only in cars with the Power Moonroof Package, with another rear vision camera built into the rearview mirror. It can also be argued that Subaru's Symmetrical All-Wheel Drive system, which comes standard on all Outback models, can give an extra measure of safety in certain types of emergency maneuvers. The 2011 Subaru Outback carries top safety ratings from the Insurance Institute for Highway Safety, including top 'good' scores for frontal, side, and rear impact, along with the new roof crush (rollover) test. 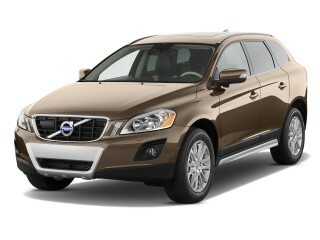 Additionally, the 2011 Subaru Outback is an IIHS Top Safety Pick. The news isn't quite as good from the federal government. In the fed's overhauled crash tests, which include a new side pole test, the 2011 Subaru Outback earned four out of five stars overall, with four-star ratings in frontal, side, and rollover protection. The 2011 Subaru Outback doesn't stand out on features, but it is one of the best values among family wagons and crossovers. The 2011 Subaru Outback is offered in three different trim levels: base 2.5i, Premium, and Limited. 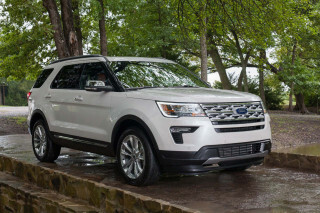 Base equipment isn't bad: The steering column not only tilts but telescopes; all models include an outdoor temperature display and three 12-Volt power outlets; and cruise control and air conditioning are included, along with a four-speaker sound system with aux input. 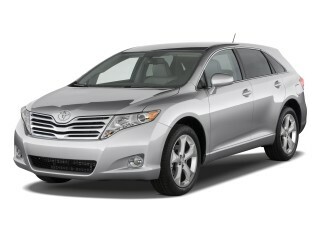 Premium and Limited trim levels are available with all three engine/transmission combinations. The jump from base to Premium trim levels brings with it standard fog lamps and a power driver's seat, and the Outback Subaru Limited gets a standard Harman Kardon stereo and dual-zone climate control, among other standard features. Perhaps the best feature on the 2011 Subaru Outback is the low MSRP; base models begin at about $23k, and a tricked-out Limited model still comes in under $35,000, significantly undercutting the competition from Volvo and Jeep. Subaru doesn't wow with high-tech options, but there are a few noteworthy extras: Subaru's traditional all-weather package adds heated seats and mirrors and a deicer for the windshield wipers; a 10-way power driver's seat; dual-zone automatic climate control; a power mooonroof; and a 440-watt, nine-speaker harman/kardon premium sound system (which now also includes XM Satellite Radio and a trial subscription). Limited models offer a voice-activated navigation system with a reversing camera that shows in the eight-inch dash-mounted display. To our surprise, ordering the navigation system requires the moonroof to be specified as well. And unfortunately, Subaru doesn't even offer memory functions for seat and mirror settings for different drivers. Stick with the four-cylinder engine and CVT, and the 2011 Subaru Outback is one of the greenest choices among roomy crossovers or wagons. The 2011 Subaru Outback returns exceptional fuel economy for its class, even if its ratings aren't at the top of the green scale. According to the official EPA estimates, the 2.5-liter/manual combination returns 19 mpg city and 27 mpg on the highway, while the CVT gets an exemplary 22/29 rating. The 3.6-liter engine is hit with an understandable drop in efficiency and clocks in with an EPA rating of 18 mpg city and 25 mpg on the highway. The Car Connection has seen great real-world fuel economy in the Outback as well. In a four-cylinder, CVT-equipped Outback, we saw an impressive 27 mpg overall in highway driving that included several mountain passes. Drivers in the plains will likely nudge 30 mpg.